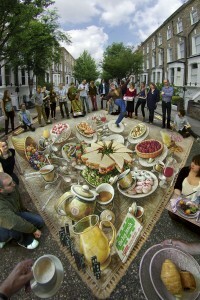 I did this work in London, England for a cool British event called The Big Lunch. The aim of The Big Lunch is to get as many people as possible across the whole of the UK to have lunch with their neighbors once a year in a simple act of community, friendship and fun. Since starting in 2009, thousands of Big Lunches have taken place in all types of community across the UK. In 2013, The Big Lunch fell on the same weekend as The Queen’s Diamond Jubilee celebrations on Sunday 3rd June and The Big Jubilee Lunch was part of the main Diamond Jubilee program of events announced by Buckingham Palace. An astonishing eight and a half million people appear to have taken part in events across the UK. 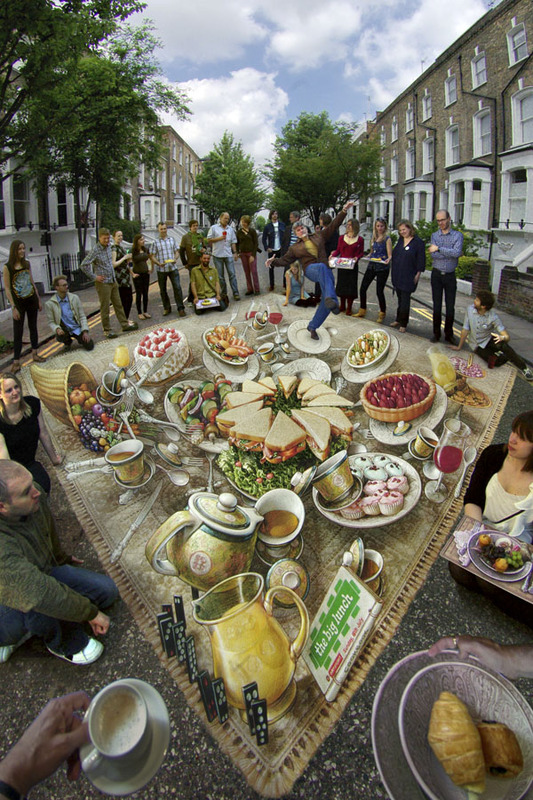 A Big Lunch can be anything from a few neighbors getting together in the garden or on the street, to a full-blown street party with food, music and decoration that quite literally stops the traffic.